Buying holiday gifts for a runner on your list can be tough. With a bevy of brands and technology changing as fast as twinkle lights, many buyers may be curious about the best things to put under runners’ trees. Many D.C.-area specialty stores offer options at varying price ranges aimed at runners of all levels, and can help answer questions about what gear runners need, what’s new in tech and what’s hot this season. The Milestone Pod, sold at Potomac River Running, tracks foot-based data not available from other devices such gait metrics. Potomac River Running spokeswoman Meredith Tighe said some new tech items are not to be missed. 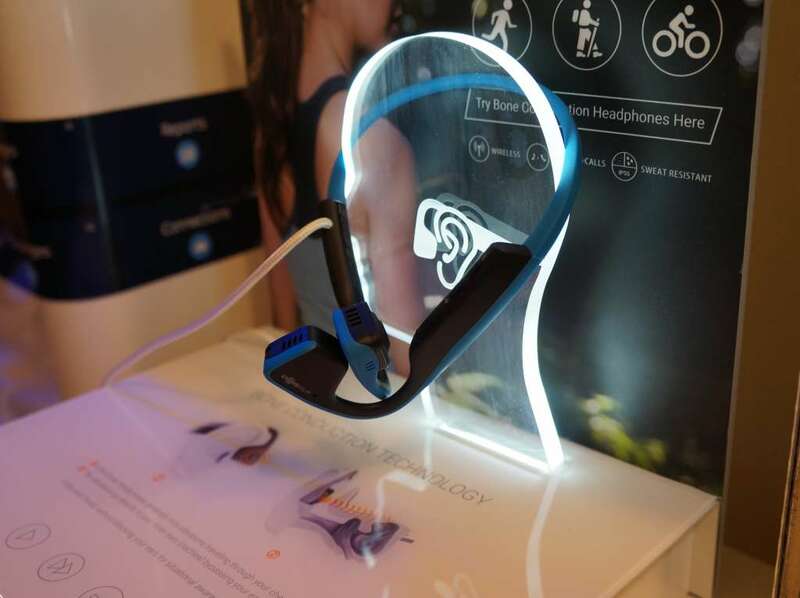 Among them are the Trekz Headphones. At $130, the wireless headphones boast an open-ear, lightweight and sweat-proof construction. They even have the stamp of approval from PR Owner Ray Pugsley. The Wearsafe tag is a great gift for a kid or spouse, Tighe said. The $30, quarter-sized tag allows runners to instantly share GPS coordinates with a network and alert someone if they’re in danger. “It’s a great thing for people to give their loved ones if they’re concerned about their safety,” she said. Have a runner on your list who’s obsessed with the data behind every mile? 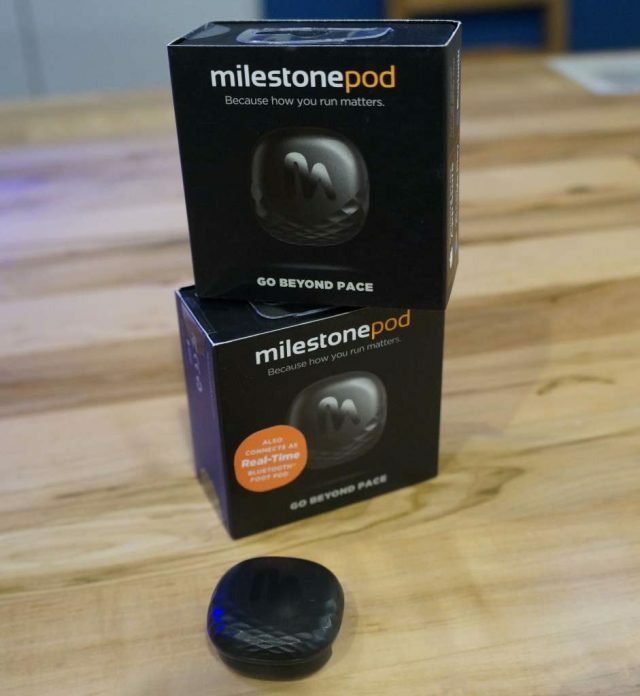 Milestone Pod may be just the thing for him or her. The device tracks foot-based data not available from other devices such gait metrics. The Skida hats and headbands are made in Vermont and sold at Summit to Soul for $16 to $20 each. Runners’ stockings can be filled with plenty of items priced at about $25 and lower, said Summit to Soul Owner Kim Wattrick. 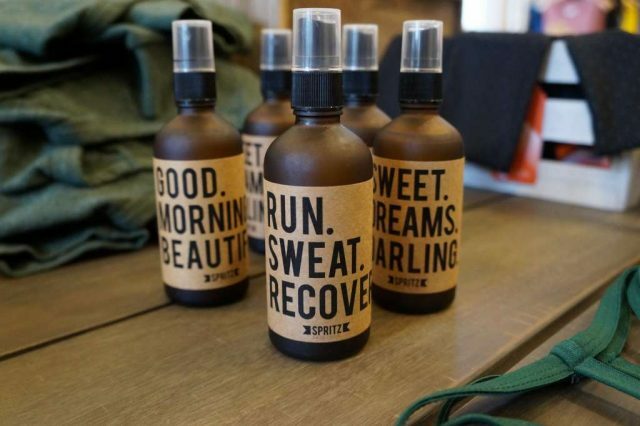 Soaps, candles, aromatherapy sprays and the popular Skida hats and headbands are just a few of stocking-stuffer items sold at Wattrick’s Capitol Hill store. 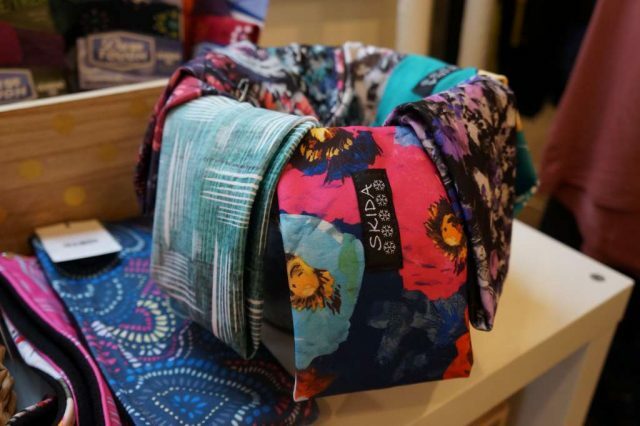 The $16-$20 Skida hats and headbands come in varying prints, have a fleece-lined option and “are great for running and outdoor activities,” Wattrick said. At Potomac River Running, the Stance bright-patterned running socks — at $25 — are a favorite. And don’t forget to fuel runners this season. Bars, gels and waffles are sold at most area running stores, and you can get them at Pacers Running locations for a few bucks each. “The best way to figure it out is just to try them all and sample what you like,” Stryk said. Trek Headphones, at $130, are a higher-tech headphones with an open-ear design. If you’re looking to bump up to the next price bracket, Summit to Soul’s reflective leggings, tops and headbands are worth the investment, Wattrick said. The reflective leggings are $82. Trendy sweatshirts are big sellers at Summit to Soul, too. Scrawled on sweatshirts are phrases such as “Netflix and treadmill” and “Kinda wanna go for a run, kinda wanna stay in bed” — sentiments that resonate with many runners, Wattrick said. Gloves sold at Pacers Running locations can help keep runners warm through this winter’s brutal cold. Mizuno Breath Thermo Knit Gloves and the Smartwool Liner Glove are good for continued warmth. And if you can’t put the smartphone down, The North Face ETIP glove or The North Face Pamir Windstopper ETIP Glove are tops. Gloves cost between $24 and $55 at Pacers locations. If laying up is part of the plan, Pacers has several light shells, thermals, heavier jackets and post-run comfortable sweats. “You can mix and match each of these layers depending on the weather conditions: considering that wind, temperature, and precipitation,” Stryk said. Jackets and outer layers can range between about $70 to $175. See their suggested items here. And if you want buy your runner a pair of shoes, Tighe recommends the New Balance Omni Cruise, at just less than $80. “It really is a great gift you have a runner in your life who likes to wear running shoes around — they are about half the price of other shoes and they look way cooler,” she said. And if all else fails, gift cards are always a great option. 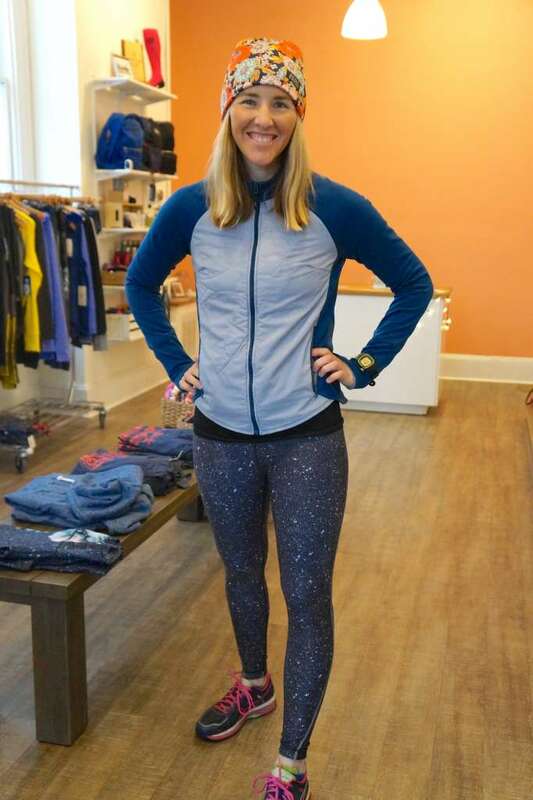 Summit to Soul Owner Kim Wattrick poses with the reflective leggings in her Capitol Hill store.